Should women who suffer from the demobilizing symptoms of menopause -- hot flashes, night sweats, sleeplessness and mood swings -- take hormone replacement therapy? That is the question facing many women, since a groundbreaking study a decade ago turned the tables on the medical approach to relieving the symptoms of menopause with hormones. The answer: the decision is a highly individualized one, to be determined between each patient and her doctor, South Florida physicians say. "There is not one answer that fits all women because each woman's risk is different," said Dr. Silvina Levis, professor of medicine at the University of Miami Miller School of Medicine and director of its Osteoporosis Center. In 2002, a study by the Women's Health Initiative was halted after 5 1/2 years when researchers found that estrogen and progestin supplements significantly increased the rate of heart attacks, stroke, blood clots and breast cancer in healthy postmenopausal women. The increased risk of a heart attack or stroke began in the first year of hormone use, while the risk of breast cancer jumped after four years on hormones. While the study's methodology has been criticized by many, there is no doubt that the conclusions have caused a sea change in how doctors prescribe hormones to their patients, physicians say. Until then, the prevailing medical belief was that hormone replacement could help prevent such ailments as heart disease and osteoporosis. 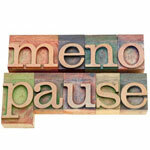 Women often began taking hormones as soon as they began feeling the symptoms of menopause, and continued them for life. Now, doctors suggest that women in perimenopause (the period before menopause begins) or menopause, who are suffering from symptoms that are interfering with their daily lives, should consult with their doctor if they wish to consider hormone replacement. "What changed is the practice -- what women choose to do and what doctors prescribe, it changed it significantly," Levis said. "Now, the pendulum is swinging back a little bit, in that some women do get estrogen." Menopausal symptoms vary from woman to woman, doctors say. Some women go through the transition symptom-free, others have symptoms for a year or two, and others experience symptoms that drag on for years. "If a woman is very symptomatic, can't sleep at night, has hot flashes through the day and night sweats that really bother her, we try to help her," Levis said. "Women with severe menopausal symptoms have a very hard time, and hormone therapy can really help them." Doctors will weigh the symptoms with the potential risks, looking at a patient's own medical history as well as family history, particularly for heart disease and stroke. "It's a very personal decision," said Dr. Veronica McCloskey, a cardiologist with the Columbia University division of cardiology at Mount Sinai Medical Center, in Hialeah. "If you have an extensive family history of stroke and we know that in the first year there is an increased risk of stroke, maybe you really shouldn't take it. If you have a very strong family history of heart disease, maybe it's not a good idea." In fact, heart disease in women before menopause is rare, but after menopause it increases dramatically, and is the No. 1 killer of women in the United States, McCloskey said. So, along those lines, if a patient is very overweight, has high blood pressure, high cholesterol and has a significant family history for early onset heart disease, she may not be a good candidate, said Dr. Victoria Lopez-Beecham, a gynecologist and obstetrician at Baptist Hospital in Kendall. So who, then, is a good candidate for hormone replacement therapy? > Lopez-Beecham cited those patients who are very symptomatic for "vasomotor symptoms," such as hot flashes and night sweats; those who suffer from severe vaginal dryness from a lack of estrogen; who do not have any contraindications, like a significant family history of breast cancer or high risk for cardiovascular disease; and are relatively young, say 50 to 55. "The trend is to give as low as dose as you can for as short a duration as possible, to try to alleviate those symptoms," she said, "provided the medicine you are going to give is not going to put her at significant risk." Another reason to take hormone replacement therapy is to slow the aging process, said Dr. Amanda Richards-Bullock, a gynecologist and obstetrician at the University of Miami. "With the lack of hormones, the body starts to lose calcium from the bones, so women become at risk for osteoporosis and a loss of connectivity from blood vessels and skin -- the wrinkles, the drying out, all those fun things," Richards-Bullock said. "We can't stop it but we can slow it down a little bit." She advises that patients undergo blood tests to see what hormones are lacking, and only replace those that are missing.